One of the oldest, and arguably noblest, countries in the world, Spain has had a profound effect on the history of not only Europe, but the entire world. There was a time when the Spanish Empire rivaled the likes of Roman and the Ottoman empire in both reach and influence, and much of the world looks the way it does today because of Spain. In everything from architecture, religious practices, art, and even music, you’re bound to find traces of the Spanish in one form or another, and this especially holds true in food. Whether appetizers, entrees, desserts, or snacks, the chefs of Spain have been refining amazing dishes for hundreds of years, until they have become some of the most widely praised and treasured recipes in the world. For a touch of the romantic, the elegant, and the timeless, there’s truly nothing better than the fine cuisine to come out of Spain. If you’d like to bring a touch of Spain into your own home, and craft an amazing meal of Spanish dishes that will leave your friends and family singing your praises for weeks to come, we can definitely help! 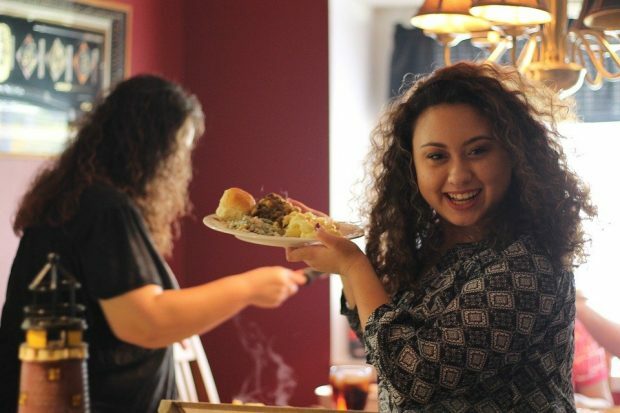 Using this guide, and generating other ideas through forums, your own blog following, and other venues, you’ll be crafting these tantalizing meals in no time at all! Following are seven of the best Spanish dishes that you can make right in the comfort of your own home. 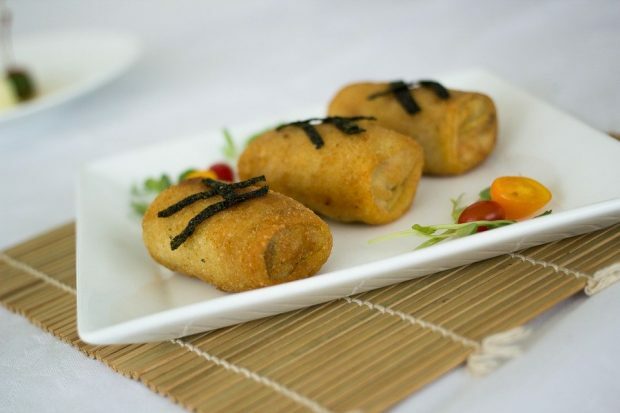 A delicious finger food that has been adopted the world over, the croquetas of Spain are an appetizing treat that will have your dinner guests begging for more. Made by using different meats or vegetables as a main ingredient, then combining it with brown sauce or bechamel, and finally soaking in a coating based in eggs, milk, onions, and other liquids, croquettes are perfect for both formal dinners, and laid back gatherings. Though intended primarily as a side dish or finger food, stuffing your croquetas with a wide variety of different ingredients, and frying up a whole batch, means you’ll have enough to make a meal all on their own! 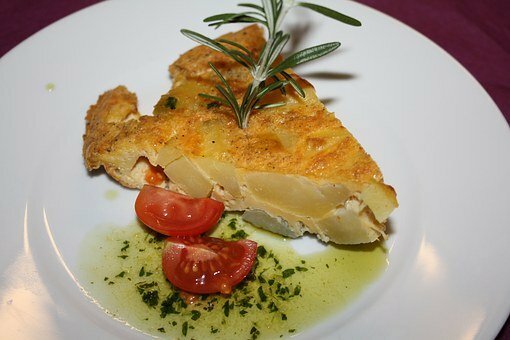 Also called the Tortilla Espanola, the Spanish Omelette has long been a favorite in kitchens and restaurants all over Spain, and now, the entire world. Made by slow cooking potatoes, onions, and eggs in olive oil, the Spanish Omelette will have your mouth watering from the moment they catch a whiff of the delicious scent of frying batter. Mixed with side dishes, or left entirely on its own, these unique omelettes are a welcome site at any table, whether it’s breakfast, lunch, or dinner. 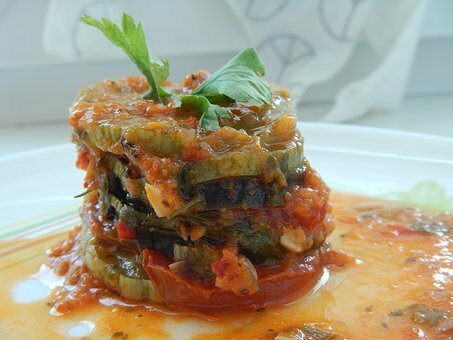 Known as Pisto to the locals, Spanish Ratatouille is a scrumptious dish that will delight your guests throughout your special gathering. Combining different vegetables, including potatoes, tomatoes, zucchini, and a host of others, Pisto roasted to just the right level, and then served as a side dish or appetizer for a main course. However, by combining it with a fried egg, or some chorizo if you choose, you can make your Spanish Ratatouille into the piece de resistance of your home cooked Spanish meal. 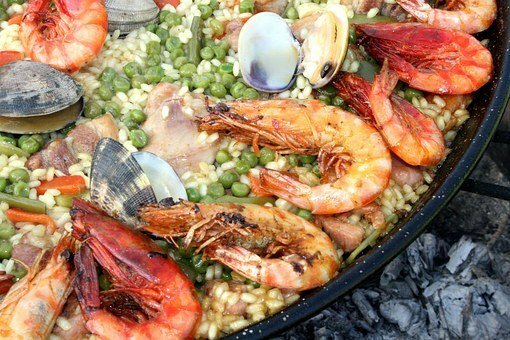 A sure fire hit for any Spanish themed evening, Paella (pronounced “Pa-Ey-Ya”) is a staple of Spanish cuisine that have been altered and transformed throughout its history, that it has truly become a unique creation of the chef making it. Using rice as a foundation, and then mixing in assorted vegetables, particularly green beans and white beans, coupled with chicken, seafood, or even hare and rabbit meat, paella is a dish that truly captures a wide range of tastes and textures in one single dish. Though white rice is the typical choice, using brown or even black rick, will lead to some truly unique spins on this classic dish, and help you to craft your own memorable version! Yes, you Spanish speakers out there read that correctly: fried milk. 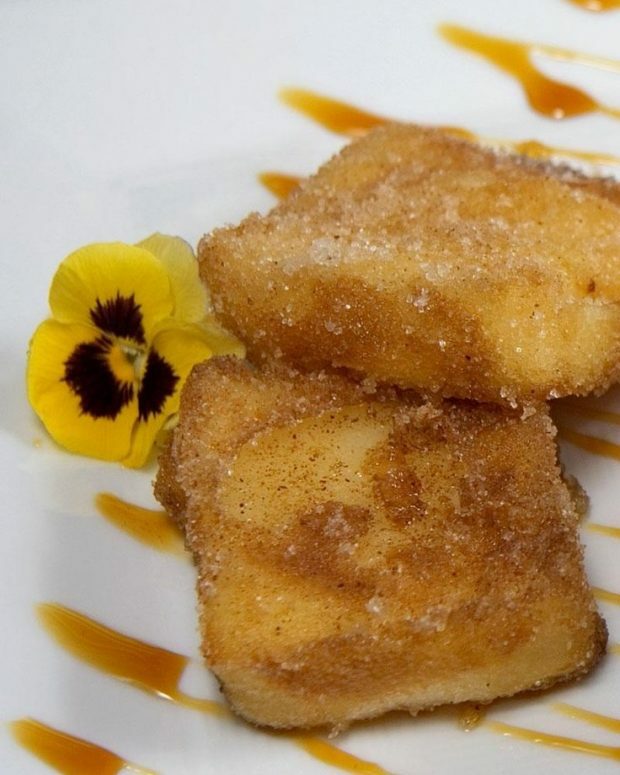 A favored desert for many in the region, Leche Frita uses milk as its base, then encases it in a coating of egg and flour that is then deep fried, and finally, topped with cinnamon, sugar, and a host of other sweet seasonings. Enjoyed by both the elite and the proletariat, the rich and the poor, Leche Frita is a unique dish that is sure to peak your guests’ interests, and have them anxiously awaiting you to set the table with these delightful snack pieces! Although leche frita was initially something we at Spain Buddy were unsure about – it is now a regular dessert choice when out for a Spanish meal. 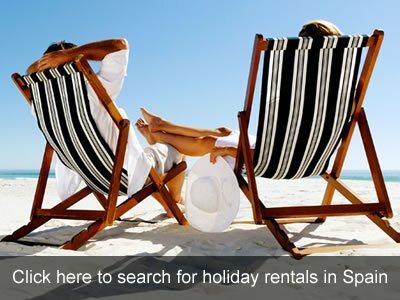 We also make it at home quite regularly. It really is much tastier than its name would imply. Translated to, “Iberian Ham,” you might be tempted to discount this staple entree of Spanish cuisine as nothing more than thinly sliced ham, but you’d be making a huge mistake! Considered not only one of the staples of Spanish cuisine, but a work of art that requires intense study and practice to master, this collection of thinly sliced pork has been gracing dinner tables in Spain for centuries, and no two are ever alike. 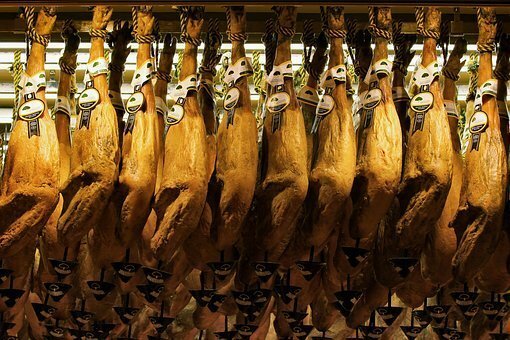 Taking into account everything from the diet, to the body fat content, to the weather, crafting the perfect dish of Jamon Iberico is considered a time honored tradition, one that will never see a definitive victory, but that many are happy to spend their entire lives in pursuit of. With your own take on Jamon Iberico, you too can answer the call, and your guests will be delighted you did! 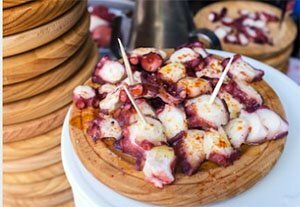 For those of you with unique tastes, and strong stomachs, Pulpo a la Gallega is a unique dish that will have your friends testing their courage, to the delight of their taste buds. Begun by boiling octopus, this dish uses the simple spices of paprika, rock salt, and olive oil to give a flavor that is wholly original and infinitely satisfying. To complete the full Spanish dining experience, combine with some baked or roasted potatoes, as well as any vegetables you might wish to pair, and serve on a wooden plates. Your friends will squeal with delight as they feast on this truly Spanish dish!